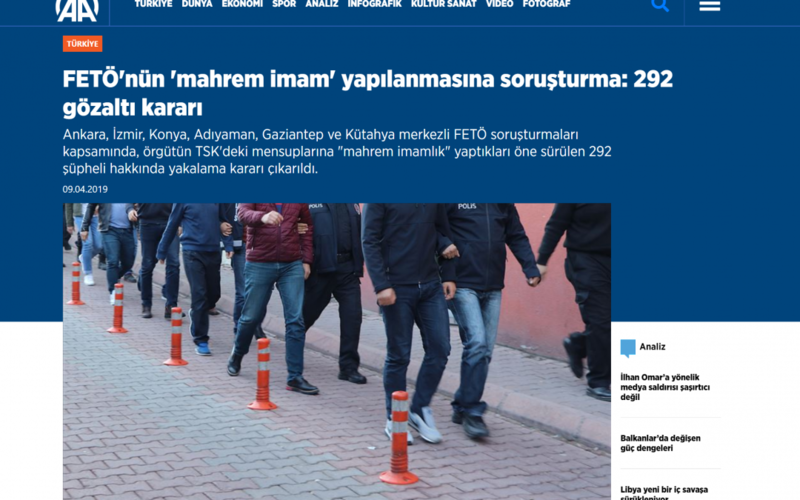 Detention warrants were issued for 292 people over Gulen links in 6 provinces, state-run Anadolu news agency said Tuesday. Prosecutors in Ankara, İzmir, Konya, Adıyaman, Gaziantep and Kütahya provinces issued the warrants and police carried out raids to detain suspects across Turkey. The suspects are accused of being secretive leaders of the followers of the Gulen movement within the military. Turkish government accuses the Gulen movement of masterminding the July 15, 2016 coup attempt and calls it FETO, short for the alleged Fethullahist Terrorist Organization, while the latter denies involvement.